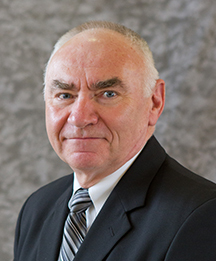 Long-time Director of Alumni and Parent Relations, Tom Runge ’71, has announced that he will retire from the College on March 31, 2016. Steve Hoffman, Class of 1985, will become the new Director on April 1, 2016. During his long career at Wabash, Runge wore many hats. As he was near the end of his career with the United States Air Force as a Colonel, he began working in college admissions for the University of Notre Dame. Not long after, he returned to Wabash to create the College’s Alumni Recruitment Program. Runge engaged scores of alumni and traveled extensively to establish a highly effective and award-winning program that today results in over 1,000 alumni referrals to our Admissions Office. In 2001, Tom was promoted to Director of Alumni and Parent Relations. He has also stepped in to serve as Interim Dean for College Advancement on two occasions. Runge created the Big Bash Reunion Weekend program at Wabash, which he has supported and enhanced for the last decade. The event has become a masterpiece weekend that brings record numbers of alumni to campus, engages them intellectually, and allows them to rekindle valuable relationships. Runge has also led the College’s effort to strategically engage parents as a critical resource for Wabash — in Admissions, Career Services, Student Life, and Philanthropy. The National Association of Wabash Men honored Runge in 2010 with the Frank W. Misch Alumni Award of Merit for his service to the College. Hoffman is a long-time member of the Advancement team. Steve was hired as an assistant football coach and head golf coach in 1991, positions he held until 1997 when he joined College Advancement. During his tenure, he has directed the Annual Fund and served as a Senior Major Gifts Officer. Steve’s son, Corey, is a member of the Wabash Class of 2016.